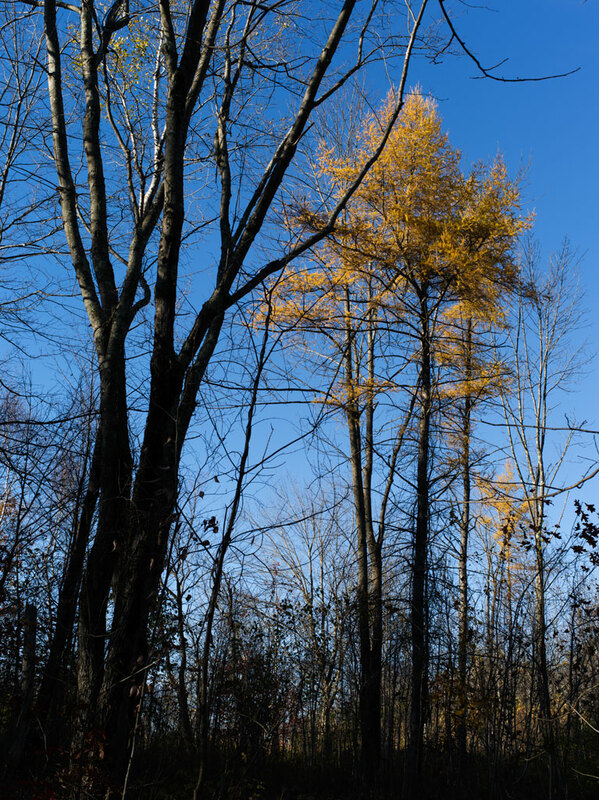 The tamarack, or eastern larch, signals the end of fall. We have a small stand just behind our house. Unlike pine, fir, and spruce, the tamarack turns color.